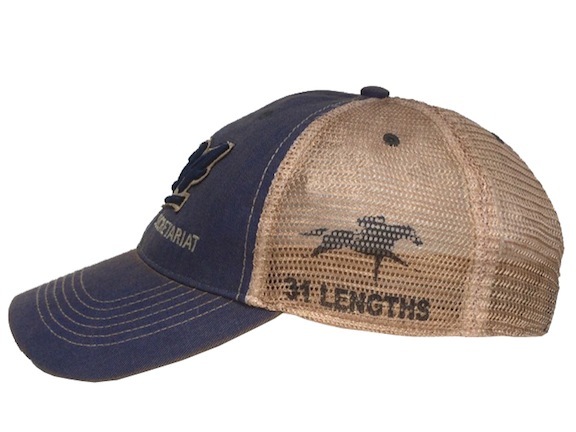 Introducing the new Secretariat Track Record Legacy Ballcaps. These retro-inspired ballcaps represent the coolest of the cool for sport fans in the know. 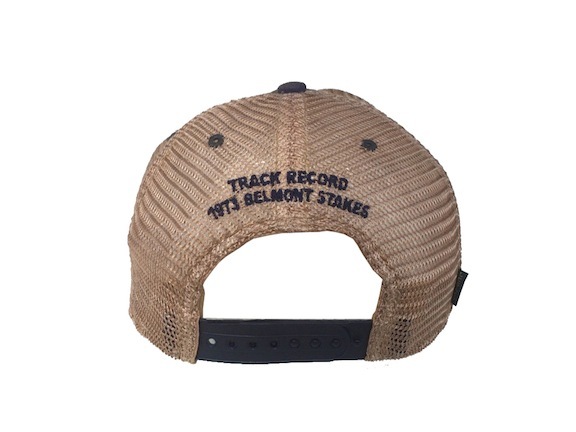 Each cap pays tribute to Secretariat's track record breaking times along the 1973 Triple Crown trail. The 1:59 cap honors Big Red's amazing feat of breaking the two minute barrier in the 99th Run for the Roses at Churchill Downs; 1:53 pays tribute to his recently proven record time in the Preakness highlighted by that explosive winning move on the first turn at Pimlico; and 2:24 represents the world record time in Secretariat's phenomenal 31-Length victory in "The Test of the Champion" at Belmont Park. It is truly incredible to think that nearly a half century has passed and Secretariat still holds the fastest times in each of these American classic races. The track record legacy ballcaps are inspired by the distinctive trucker caps of the 70's, featuring 100% faded cotton twill front with contrasting underbrim, and soft mesh backing with side imprint and arched rear embroidery. All American-made with detailed craftsmanship and offering contemporary comfort in a fashionable vintage look. Whether you mix or match, you will definitely enjoy the wearable history of these unique and distinctive ballcaps. 1:59 cap available in Vintage Royal, 1:53 cap available in Vintage Maryland Red, with Black and Gold accents, 2:24 cap available in Vintage Navy or Vintage Red.